Have you seen the new video by Bill Nye called “Creationism is not appropriate for children”? The video simply shows Nye standing in front of a white background and speaking, for two minutes, thirty seconds. Yet almost three million people watched it on YouTube, and many discussed it on YouTube and Facebook. Some folks are cheering on Bill Nye for his sharp dismissal of the creationist viewpoint in favor of modern science. Others find fault with his take on the issue, disagreeing, or accusing him of talking down to his audience. When I watched the video myself, I cringed. I was pretty sure that the video would do nothing for those who don’t believe in evolution but turn them away. However, I suspected that as an astrophysicist, my views on the subject could be somewhat limited. So I showed the video to business communication specialist Patrick Donadio to get his take on it and learn what I could about how we who support the teaching of evolution can be more effective communicators. 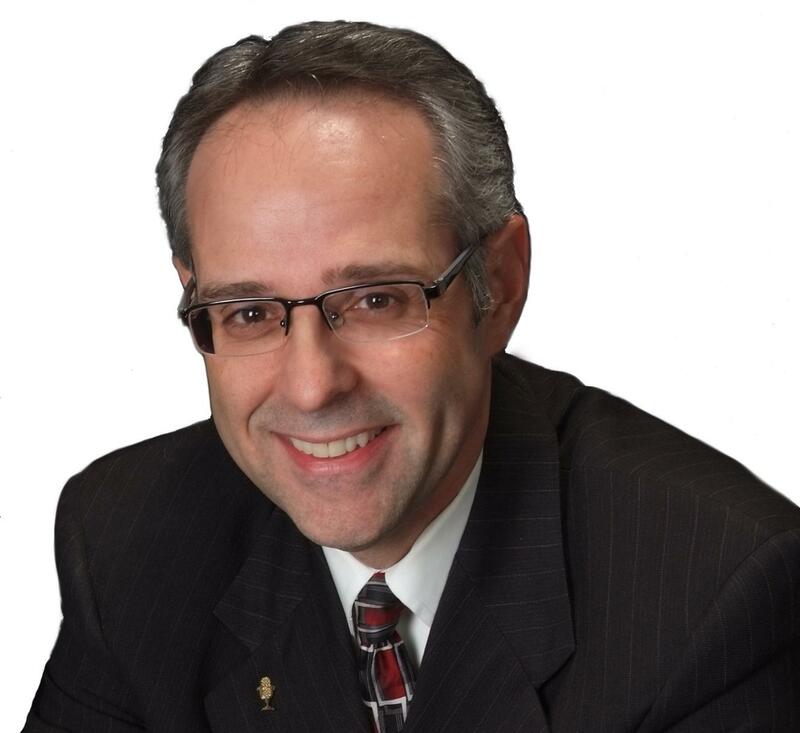 Patrick Donadio, MBA, is a professional speaker and a communications coach to the leaders of Fortune 500 companies. He has received his Certified Speaking Professional (CSP) designation from the National Speakers Association (NSA), a designation earned by less than 8% of NSA’s worldwide members. His book, Communicating with IMPACT, will be coming out next summer. One of Patrick’s specialties is helping people adapt their styles of communication to match their audiences. MK: Patrick, can you sum up what you do in a sentence or two? PD: Since 1986, I have been teaching and coaching leaders and their organizations to improve their presentation and verbal communication skills, enhance their credibility, deepen relationships, and boost performance and profits. MK: Woah! That was a mouthful. OK, let’s start with some of the things Bill Nye clearly did well in his video. PD: First of all, it is obvious he knows how to work the camera. You can tell he’s been on TV before, because he makes good eye contact. He talks to the listener by talking to the camera. He uses voice inflection and overall he appears professional. Also in his content he uses an example, a quote and even a question, all good ways to engage the audience. These are some of the areas he is doing well. I would say that in the first twenty seconds he did a nice job of pulling me in. MK: Now, how would you improve this video, or make a better one? PD: I would be careful of the language you choose. He said, “…your world view just becomes crazy…” Even though he didn’t call me crazy or call you crazy, people may start to think, “What, are you saying I’m crazy because I don’t believe in evolution?” So I would say, be careful of the language you use, especially if it might insult the listener. But more importantly, think about the tone. He is trying to convince the viewer with what I call a “push” message. I would encourage him to shift it to more of a “pull” message. MK: Pull instead of push. What does that mean? PD: He says in the video what happens when you don’t believe in evolution. “Your world becomes complicated when you don’t believe in evolution”. But when you’re trying to convince somebody, it’s might be more helpful to say what happens when you do believe. He might have said, “I want to encourage you to explore the concept that there is some truth to the idea of evolution. I don’t necessarily want to convince you today that you have to stop believing in creationism, rather to invite you today to be open the idea that evolution does exist. I don’t want to change you today; I want to challenge you to explore this concept a little deeper.” That’s a pull, verses a push. MK: I like that: “I don’t want to change you, I want to challenge you”. PD: Also some of his premises are faulty. Like his suggestion that you can’t be an engineer if you are a creationist. Well, I’m not sure that’s true. Many of his points are not really going to help convince me if I’m on the other side, because I’m finding a lot of holes in his examples. So who is his real audience? What is his intent for this video? These are two important questions to answer as your craft your message. Let’s say there’s a continuum of beliefs around this issue. There are those people in the middle that you might be able to attract and of course, you have “either/ors” on sides of the continuum ; the creationists on one side and evolutionists on the other. The people in the middle have the potential for an “and/and” shift on this issue. You might be able to influence them. If we can move people from “either/or” to and/and, that would be a smaller move. This is a challenge sometimes for scientists, because many times scientists think in terms of black and white, “either/or”. MK: I see, so you first try to take people to where they might consider that the science and their religious beliefs might be consistent and co-exist. Did you like that quote from Carl Sagan? PD: A quote is good. But maybe this is not the best quote for his cause. MK: Of course he quoted a scientist. I think if I were doing this video I would quote from a religious figure. Maybe from the Bible? He could have also used an example or story of how a similar situation may have happened in the past. For example, Galileo and his theory of how the earth revolved around the sun. At the time many did not believe him and over time we have come to learn that this was in fact true. MK: So if I could sum things up, Patrick, you suggested that you could improve the video by being careful with language, by asking questions, by explaining in positive language why you should consider believing in evolution, by using quotes from people your audience already trusts, by offering analogies or stories and by allowing for the possibility that both sides of the issue could be considered at once—for those people in the middle. PD: And by understanding that changing peoples opinions is a process, not an event. If Bill Nye’s real intent was to convince people about evolution, then he has to look at this as a process. If he is thinking that in two minutes he’s going to do it–that’s “event” thinking. Don’t think “event,” think “process”. It takes time to influence people’s opinions. Marc, Patrick makes some great points here but his examples of pull vs. push are incorrect. A true “pull” message has the evolution denier see something they stand to gain from re-examining their viewpoint. When he suggests the phrasing “I encourage you to explore the issue deeper”, that’s still the “push” messaging that he decries. The entity is still “I”. I honestly don’t know how he could claim that “I want to challenge you…” is a pull message. Challenge? Really? The creation of a pull message starts with an authentic inquiry into what’s of core importance to your audience. Once you know that (or at least have a working theory), then you can start to lay out the case for why the challenge you are proposing can further their core interests. It’s even more powerful if you can hint at the connection and leave a piece or two out and let them fill in the gaps. When they generate the connection for themselves, it sticks with them much more. In marketing, we learn that everyone’s favorite radio station is “WII FM” (what’s in it for me?). So what would possibly be “in it” for evolution deniers to consider the possibility that their strongly-held world view is incorrect? That’s an exercise for the reader (and I have some ideas) but I good place to look is what they find soothing and reassuring at a core level about creationism.